Here it comes! Xen Orchestra 5.9 is now available. We added a new view in the existing "Health" section of Xen Orchestra. You can now monitor if there is disks mounted on your Control Domain. This is the kind of stuff that could happen in XenServer if a VM import or export failed in the middle. XenServer doesn't clean it, so right now, you can control it and remove those useless links. Thanks to our unique algorithm, we are able to prevent storage issue while using snapshots and backup intensively. More details on our previous blog post on coalesce detection in XenServer. If your chain is not healthy, a backup will fail with the unhealthy VDI chain message. We'll also introduce soon a dedicated chain view to be able to spot exactly which disk need to be coalesce in your storage. DR and CR will now also be secured by the storage chain health test before being replicated. But that's not the only improvement: you can now start easily the replicated copy on destination. Your recovery time is now down to 0! You can now ask our DR mechanism to remove first the copied VM on destination and then to copy the new one. It uses twice less space, but it's more risky because if something goes wrong, you'll miss the latest copy. 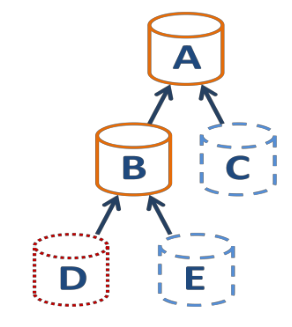 When you add a host into an existing pool, you must have the same level of patching. That's a bit boring to do manually, so XOA is now managing it automatically for you if needed! Patch download is optimized: download once and stream it to multiple hosts (even if there is no shared SR). This is more bandwidth friendly but also faster! 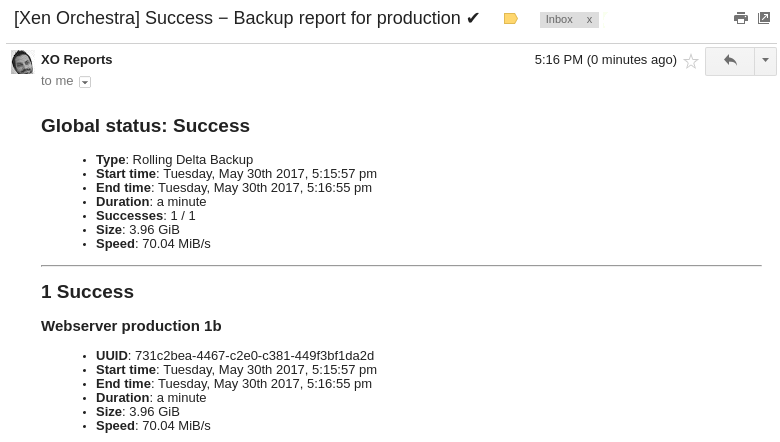 Speed and data is now displayed in the backup reports. You can read more in our dedicated blog post regarding our improved backup reports for XenServer.